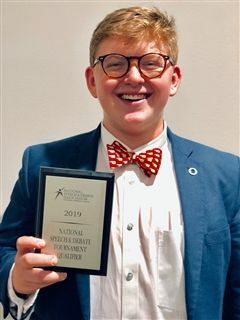 Congratulations to Jack Maricle who, for the second year in a row, qualified for the National Speech and Debate Tournament in Humorous Interpretation. Jack finished second out of more than 40 contestants and will represent Cascia this summer in Dallas. He also finished 6th in Dramatic Interp.